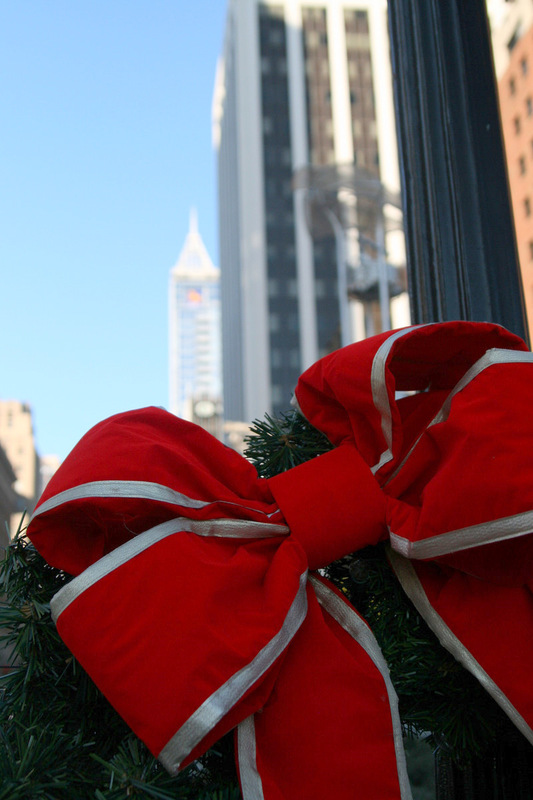 These wreaths adorned with large bright red bows were in the process of being put onto the light posts in downtown Raleigh, the capital of North Carolina. From the capital building, we walked along the wide Fayetteville Street, one of the main streets downtown. Its November and that means the holiday and winter season is just around the corner!